Recover files from Compact Flash cards. Is there a better alternative to CF Card Recovery? 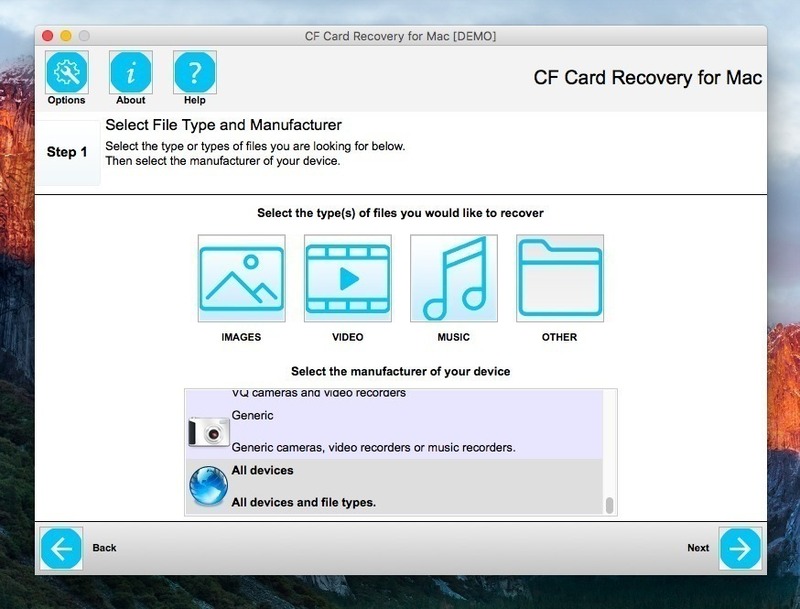 Is CF Card Recovery really the best app in Backup category? 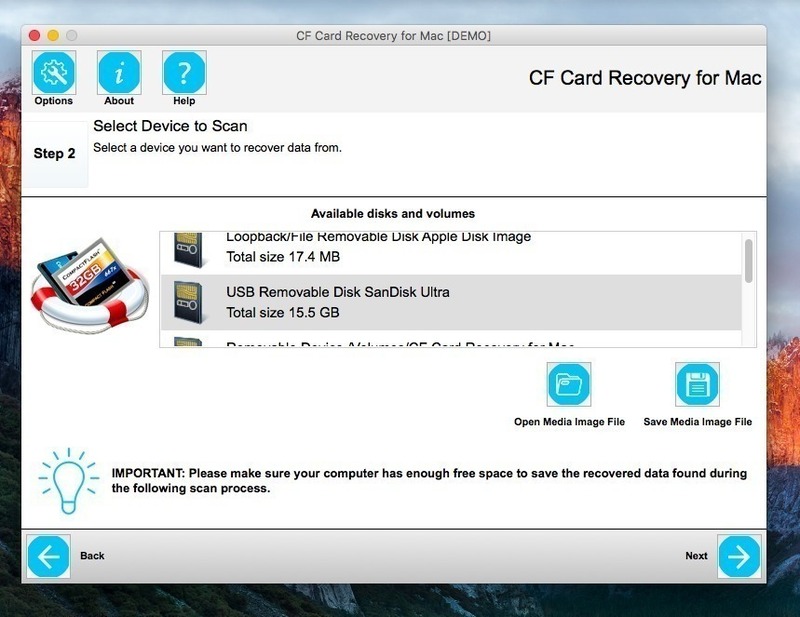 Will CF Card Recovery work good on macOS 10.13.4? CF Card Recovery provides a complete, easy-to-use wizard-style interface to recover lost, deleted, formatted, or corrupted photos, videos, audio, and other files from any type or brand of Compact Flash card, using any card reader, providing photographers with added peace of mind. You can also use this CF Card recovery software to safely and quickly recover photos and videos from all types of storage devices such as digital cameras, memory cards, memory sticks, USB drives, and so on. Optimized Scanning for CF Card. Support recover other files from CFast. Supports the latest RAW image formats. CF Card Recovery needs a review. Be the first to review this app and get the discussion started! Supports photo recovery of high-end RAW image formats for all popular digital cameras including Canon, Minolta, Olympus, Nikon, Sony, GoPro Hero cameras, Panasonic, Kodak, etc. Thumbnail preview gives you a quick preview of the photos scanned on your device. Using CF Card Recovery is 100% secure and risk-free. The software does not write anything to or modify the files on the CF card. It recovers photos from the card and saves them to a folder on your hard drive. Furthermore, CF Card Recovery also includes memory card reformatting, create backup image for your media, and secure wipe features. Disk initialization when the digital camera's CF card is just connected. Software crash, virus infection, camera unexpected powered off, etc.